I’m not sure about the practicalities of this but it still sounds really really cool, the Voice Interactive Alarm Clock, when you want to snooze just say so. The Voice Interactive Alarm Clock understands the following verbal commands (though whether it could understand my accent I seriously doubt (current girlfriend thought I was called Owen for the first few weeks)), “What time is it,” “Play Memo,” “Night Light,”, “Any Alarms” and the all important “SNOOZE”. Though it does seem to be missing the “Shut the fu…. up” command. The one thing that puts me off this (other than the accent) is that I’ve toned my sleep pattern to be able to block out alarm sounds but if I had somebody laying next to me shouting “SNOOZE” every ten minutes I’d probably wake up. 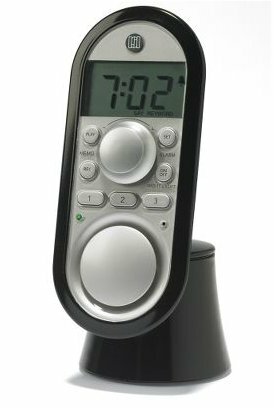 You can buy the voice controlled alarm clock from Hammacher Schlemmer for $59.95.